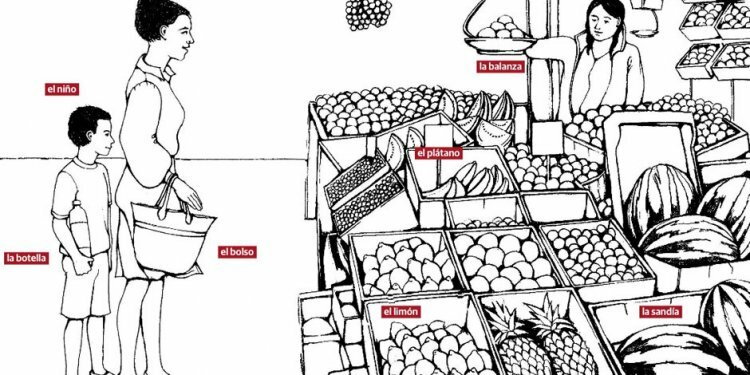 For English speakers studying Spanish, achieving fluency isn’t always as easy as pulling a rabbit out of a sombrero (or as hard, depending on how you look at it). The language learning magic happens when you take a balanced and consistent approach to language study. If you are living in a country where Spanish is spoken or you have access to Spanish language newspapers and radio, consider yourself lucky. If the only immersion your environment provides is in English, not to worry! Take enough time every day to learn some vocabulary and practice the 4 skills of speaking, reading, writing and listening — you can’t go wrong with a basic approach. Everyone who wants to learn a foreign language faces the same challenge of understanding how to study languages to begin with. Language is a communication tool. It’s something that’s alive and fluid and while you can learn a rule, it doesn’t necessarily mean you’ll be able to use it when the time comes. This means you can’t study language in the same way as you might maths or sciences. Becoming fluent is a matter of getting ample exposure to authentic resources and the right mix of speaking and listening practice to ensure you feel comfortable using the language, grammar and vocabulary words you learn. Spanish is a romance language that, like English, is part of the Indo-European language tree. As Spanish and English have been coming into contact for quite a while now, there are more than a handful of cognates or shared vocabulary words between the two tongues. Spanish is the second most spoken language in the world and is the main spoken language in Spain and in most parts of South and Central America. It’s also the second most spoken language, after English, in the United States. On a difficulty scale, the US government rates Spanish as a category 1 language, which means it’s in the easiest group for English speakers to learn and takes about 23-24 weeks or 575-600 class hours to achieve fluency in. If you are a new learner gearing up to start a Spanish program, take some time to consider why you want to learn Spanish to begin with, as this can help foster the right kind of motivation to carry you through your studies. You may also want to think about how much time you have to devote to language study and put together an individual learning plan that will help you break the task up into manageable steps. For intermediate learners who are stuck on the “plateau, ” remember that vocabulary is your best bet for getting off. Start collecting low-frequency Spanish words. Spend more time with authentic resources and less time studying grammar and you will get there eventually. TIP: The more you read authentic texts, the more new words you will learn! At an advanced level, the challenge of achieving fluency is already behind you, but that doesn’t mean you can’t keep practicing your Spanish to keep it active. Try a weekly conversation class or a language exchange. Last but not least, for anyone looking to get back that Spanish they studied in high school, don’t lose hope as all of the vocabulary and grammar you learned isn’t completely gone. Language attrition occurs when we don’t use a language, but remnants of vocabulary are still buried deep down in your mental lexicon. Try this post for recommendations on how to get started learning Spanish again! 1. Listen to native speakers. In the early stages of language learning you need to make sure you hear as much Spanish as possible, to get your ear used to it. Spanish actually has more syllables per second than English, mind you they are less dense in meaning. You need to familiarize yourself with the different phonemes, vowels and consonant clusters as well as the rhythm with which natives speak. Once you can parse Spanish speech, or hear where one word starts and stops, you can learn new words every time you practice your listening skills. 2. Study vocabulary. It’s hard to recognize what you are listening to, process what you read and communicate with anyone if you don’t have the basic words you need to get by. Vocabulary may not be the most thrilling thing to study, but it is a must for learners of every level. The first terms you learn should be the 2, 000 most frequent Spanish words, as they will facilitate learning lower-frequency words from context later on. 3. Practice your conversation. We learn languages so we can communicate with other people It’s great to study and read on your own, but what’s the point of learning Spanish if you don’t get any practice speaking? Taking a conversational approach is key for encouraging integrative motivation and acquiring the real language native speakers use every day.